No meat, booze or cigarettes – welcome to a vegetarian apartment complex, which unites people with a shared lifestyle and similar principles under the same roof. The pioneering building is called Veda Village, and is located in the suburbs of St. Petersburg. 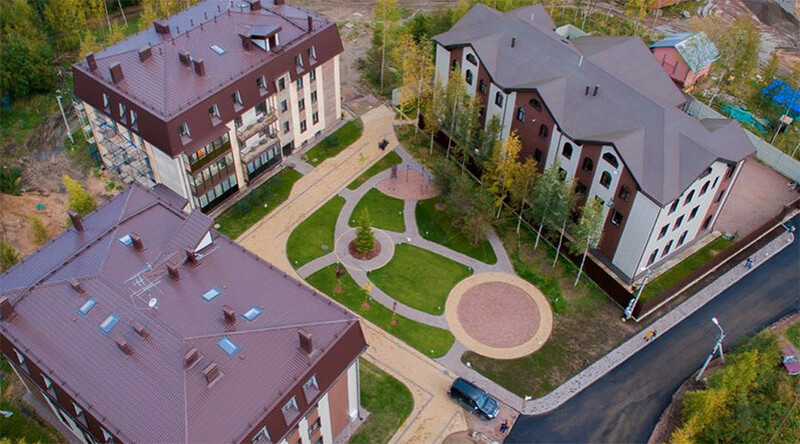 The village’s developers claim that the complex is the first of its kind in Russia. “If you are a vegetarian, you are welcome,” reads a statement from the developers. Видеорепортаж с места событий, а событие это - асфальтирование дороги до нашего с вами комплекса - Veda Village! Ура! The aim is to create a sustainable community that will become self-sufficient in terms of energy, water, waste treatment, and – most importantly – food production, according to the people behind the project. “The main thing about this complex is an opportunity to live and evolve together with like-minded people,” Maya Podlipskaya, manager of Veda Village, told TASS. Among the peculiar things about living in such a complex – apart from the hefty price – is the requirement to comply with a range of principles that includes abstaining from eating meat. “The sales agent holds an interview with a potential buyer to find out whether he is vegetarian or not. If not, the client gets a refusal,” Podlipskaya said. Drinking alcohol and smoking is also forbidden on the grounds of the apartment complex. However, the developers did not specify how these rules would be implemented. The designers of the complex have employed feng shui (Chinese system of harmonizing everything) and Vastu (a traditional Hindu system of architecture) principles in the development of Veda Village. The construction of two residential buildings has already been completed with another building scheduled to be finished by the first quarter of 2018. Once fully built, the unique living complex will comprise seven multi-floor residential buildings designed for 210 families. In addition, the unique grounds of the development will include a yoga centre, gym, spa, shops, day-care facility and an education center. It will also feature a restaurant catering specifically for the needs of vegetarians.